At 6-foot-4, 289 pounds, he’s not the biggest defensive tackle prospect in this draft class, but he very well may be the best run stuffer, and he has ability as a pass rusher as well. As a freshman in 2016, Wilson’s impact was mainly felt on special teams, where he produced a lot of big hits on kick coverage. When he got his chance to start in 2017, he responded by intercepting four passes. 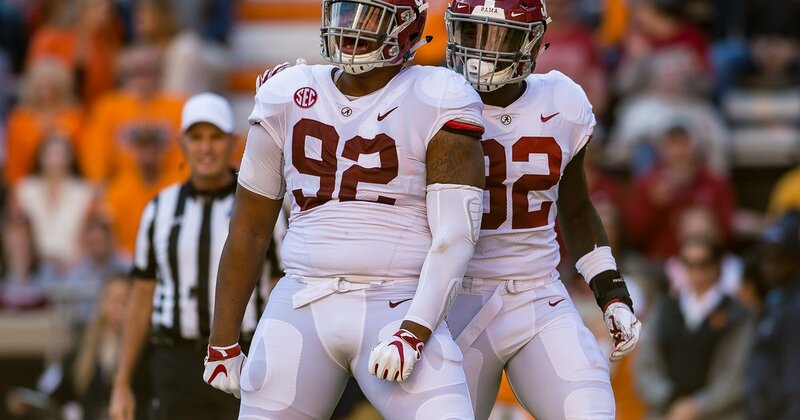 In 2018, he has two picks, and is an enforcer in the middle of that Bama’s imposing defense. At 6-foot-5, 285 pounds, Allen isn’t going to be mistaken for a speed rusher like Von Miller, but he offers inside-outside versatility and has the ability to push the pocket with his sheer strength. Over the last three seasons, he has 38 tackles for loss and 15.5 sacks.